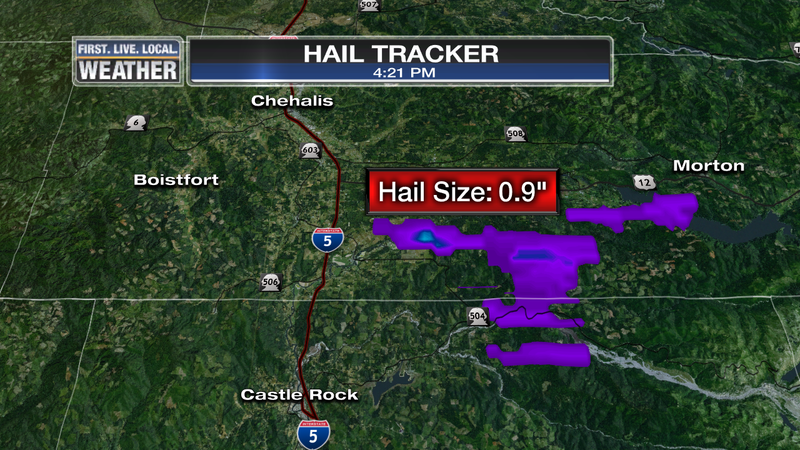 So far we’ve only seen one thunderstorm in the lowest elevations…just north of North Plains. But looking from our Skyline Cam the sky sure looks ominous. Temperatures are in the mid-upper 70s now too which should allow SOMETHING to pop up anywhere in the metro area in the next couple of hours. Nice timelapse don’t you think? We’ll see how it goes the next few hours! This entry was posted on Monday, May 18th, 2015 at 4:43 pm and is filed under Weather. You can follow any responses to this entry through the RSS 2.0 feed. Both comments and pings are currently closed. It appears that perhaps 11,000 need to think about getting back up generator. Please understand i am not mocking any one who lost power..but if tv stations and radio stations have back up generators,why not the regular joe? What is the harm in being prepared? Why spend $1,200 on a generator you might use for a couple hours once every few years when you can spend $12 on a handful of candles and a good book? Better yet, forget the candles and the book and go to bed early. Finally had a round of lightning and thunder with a good rain in foothills above Sandy/ Estacada. Appears another cell is pushing west over the crest right now. Spectacular sunset among the stormy sky. Well looks like I’m in the clear for the day. Nothing really happened at all on the east metro or cascade foothills, any potential t-storm for us has been camped out around mt.hood for awhile now and hasn’t really moved at all for the past hour. The Central Cascades have been under the heavy precipitation all day, this will help fill some of those reservoirs. Rain totals should be impressive. Just wanted to share have a great storm . Frequent to constant thunder in Garden Home, but distant. Been going on about an hour and a half… just like east coast days! It’s dropped 8 degrees in the last hour in Hillsboro. Thank you, clouds! look what just blew up near I-5/205……….. Some distant rumbles, (4) so far. Still almost nonstop thunder up here. It’s been going on for hours. Just started raining. 76 and partly cloudy in Salem at 4:45 PM. No storms yet but a real nice day for May. Peace.